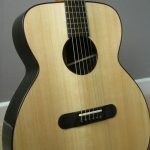 What’s the best value handmade acoustic guitars? 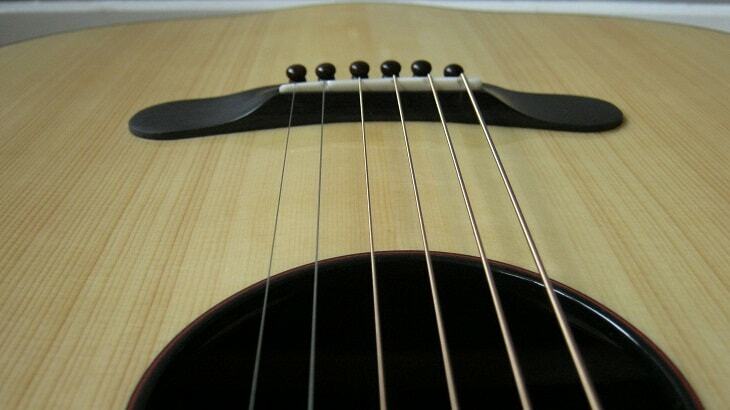 Let me put this as plainly as I can: the best value handmade acoustic guitars are the simplest ones. 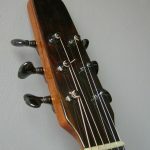 You might feel that getting a far east guitar that features all the “bells and whistle” is the best way to go. Well…it depends on what your priorities are, but if you think yours are sound, playability and looks, read on. 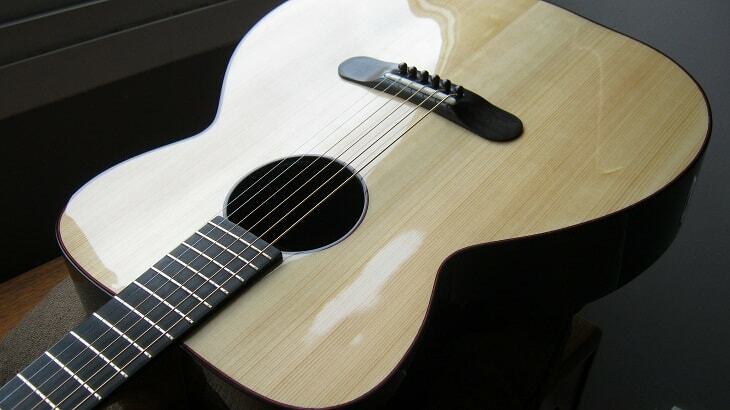 As I said: the best handmade acoustic guitars are the simple ones. 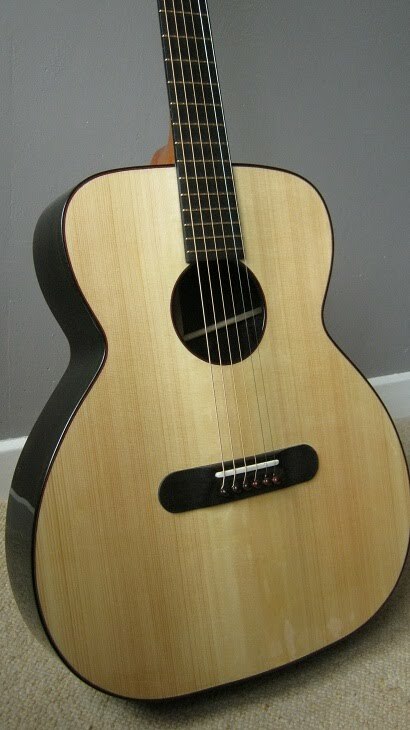 The chap who ordered this Model C, Tom, had priorities that very much were in alignment with how I think – and they’re pretty simple enough – sound, playability, looks and budget were his guides. He wanted plenty of bass (Model C) with a richness you can only get from Rio (the back is Indian rosewood, the sides are Rio rosewood) On top of this he wanted to be loud so to be heard in noisy sessions (Howe Orme inspired X braced soundboard with laminated struts) Next we have a 644mm scale to allow dropped tunings without being too stiff, and some smart black Gotoh 510 tuners and simple, plain but modern styling. We end up with a guitar I wouldn’t mind keeping for myself. 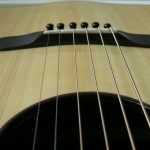 This is the beauty of getting an instrument made for you – we begin with what you want and between us we come up with the best combination of features that is within your budget. 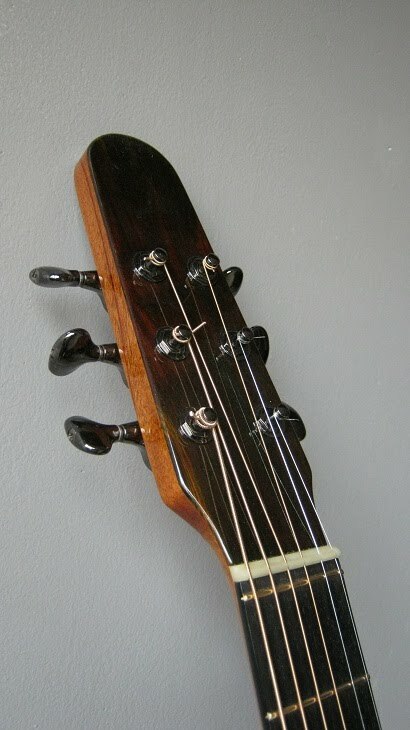 This was the main motivation behind coming up with the “modern” style of guitar building. Originally, this style was called “the Model S style” but I ended up with so many variations on the basic design it’s been renamed. “Modern?” Yes, I think so , although many old fashioned instruments have stripped down decoration too. 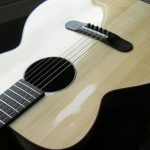 Look at the old cheaper acoustic guitars from decent companies – like the old mahogany Martin guitars – they’re lovely sounding and great looking guitars. By sticking with the “modern” style of decoration you can redirect your funds towards upgrading the timbers – a really sensible use of your money if sound is your no. 1 priority. As I said…well done Tom!